A slightly less used, but still pretty common situation involves time travel. As a huge fan of Doctor Who, I quite enjoy these dramas, especially when they follow time travel rules and don't use it merely as a device. So, here are some recommendations of dramas that involve time travel. Rooftop Prince- In the midst of investigating the murder of his beloved wife, the Crown Prince of the Joseon Dynasty is transported 300 years in to the future to modern day Seoul, where he meets a plucky, independent, young girl. He brings along 3 trusted sidekicks, and their adaptation to the modern world results in a lot of hilarity and also chaos, especially when it is discovered that the Crown Prince strongly resembles a chaebol (CEO or corporate bigwig's son, who is rich and will have a big inheritance) who's been missing for 2 years. 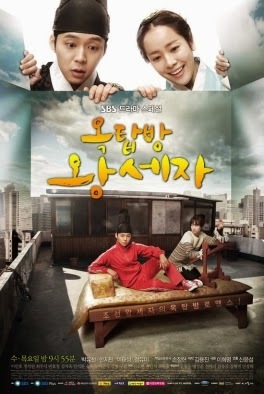 A cute, adorable and hilarious drama. 20 Episodes, about 1 hour each. Some silly subplot things, a few work, but some just drag the story a tiny bit. But you're here for the adorable, not so much the story. Faith (The Great Doctor)- A refreshing drama in that it actual doesn't involve the Joseon Dynasty (as almost all historical/time travel dramas do), but the earlier Goryeo Dynasty. The Queen is mortally wounded, so the king's best bodyguard goes to a mysterious and legendary place called "Heaven's Door" in hopes of meeting the "Great Doctor" that supposedly exists beyond it. The door turns out to be a portal that brings him to modern day Seoul, where he meets and kidnaps a plastic surgeon and brings her back in time to save the queen. Unable to return home until the mysterious gate opens again, she gets involved in the tumultuous political climate. 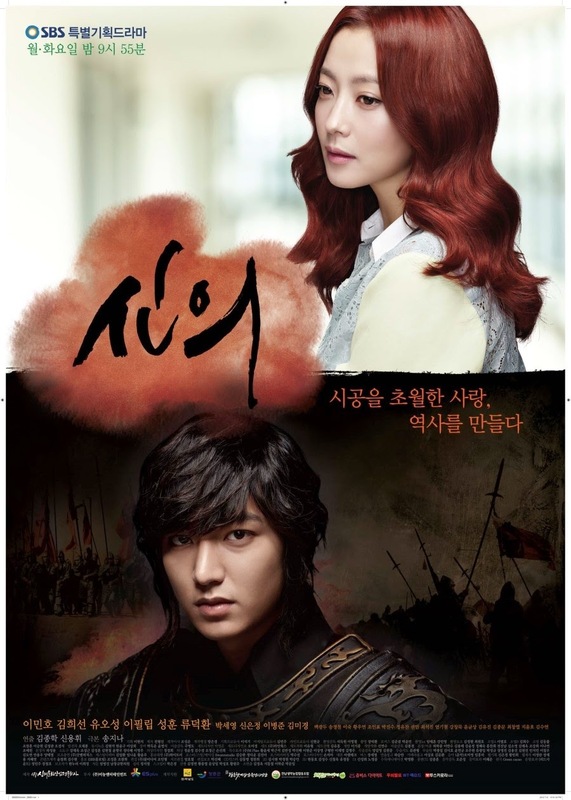 This one stars one of my favorite actors, Lee Min Ho. It's a little long (24 episodes) and gets quite political, but the relationships are quite interesting and fun to watch. Plus, the lead female's fish out of water situation is quite funny. It also has great fight scenes. 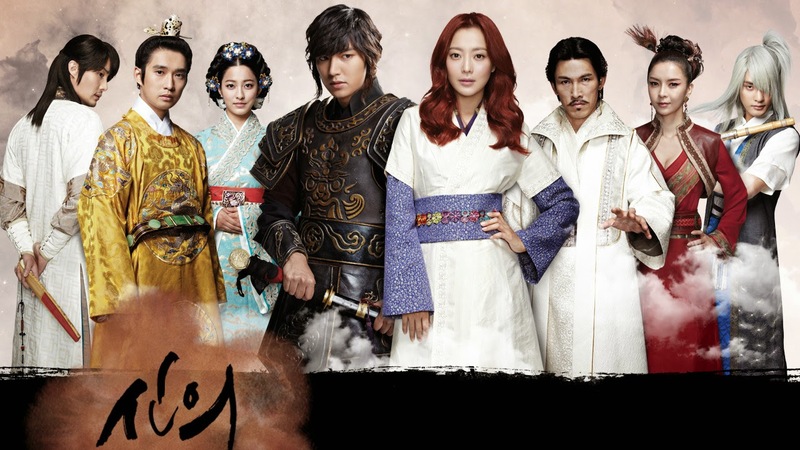 Queen In Hyun's Man- This drama is my hands down favorite time travel drama, as well as one of my favorite overall dramas to date. The story features a Joseon Dynasty scholar who supports Queen In Hyun, whom the king dethroned in favor of his mistress. His close friend gives him a talisman to protect him as he gets involved in political turmoil. In the midst of dire, life threatening situations, he is transported to modern day Seoul. There, he meets an unknown actress who just caught her big break in a new historical drama: playing Queen In Hyun herself! She becomes the only person he can trust and confide in in this new, strange world. Cute rom com situations follow, but our scholar discovers that the use of the talisman comes with a price. This drama has kept me begging for more and has had me on the edge of my seat since day 1. It had me saying "oh, just one more episode!" well past my bedtime, and it had me cringing, crying, laughing and squealing in the same episode. The chemistry of the main couple is sizzling, longing and beautiful. It utilizes time travel in its story incredibly (and sometimes frustratingly) well. It also features one of the best kdrama kisses I have ever seen. Pick of the list: Queen In Hyun's Man. If you're going to only watch one, my vote goes to this fabulous story. Either you watch the other two first, or be forever ruined by the perfection that is QIHM, because no other time travel dramas quite reach its level of awesome. Of the 3, it utilizes time travel the most, and to me, the best. It's also the shortest, so each episode really counts, and there aren't too many stupid filler sub plots. It focuses pretty well on the main couple and conflict. All 3 are pretty decent dramas, though, so if you like time travel and the hilarity that ensues, check these out!